The electric guitar is the most important instrument in pop music of the second half of the 20th century. Still, most guitarists remained music-workers that kept in the shadow of the stars they accompanied. Few of them managed to become stars themselves. So far, I´ve done small portraits of session guitarists like George Barnes, Everett Barksdale, Grady Martin, and German guitarists Dieter Resch and Fritz Woelffer. Ivor Mairants (1908-1998) was a very prolific British guitarist from the 30s to the 70s. He wrote influential guitar instruction books and in 1958, opened Britain’s first specialist guitar shop. It still exists today. Some examples of his guitar work can be heard on Youtube. A British Pathé film from 1933 shows a young Ivor Mairants playing guitar and singing with a trio, in the Roy Fox Band. 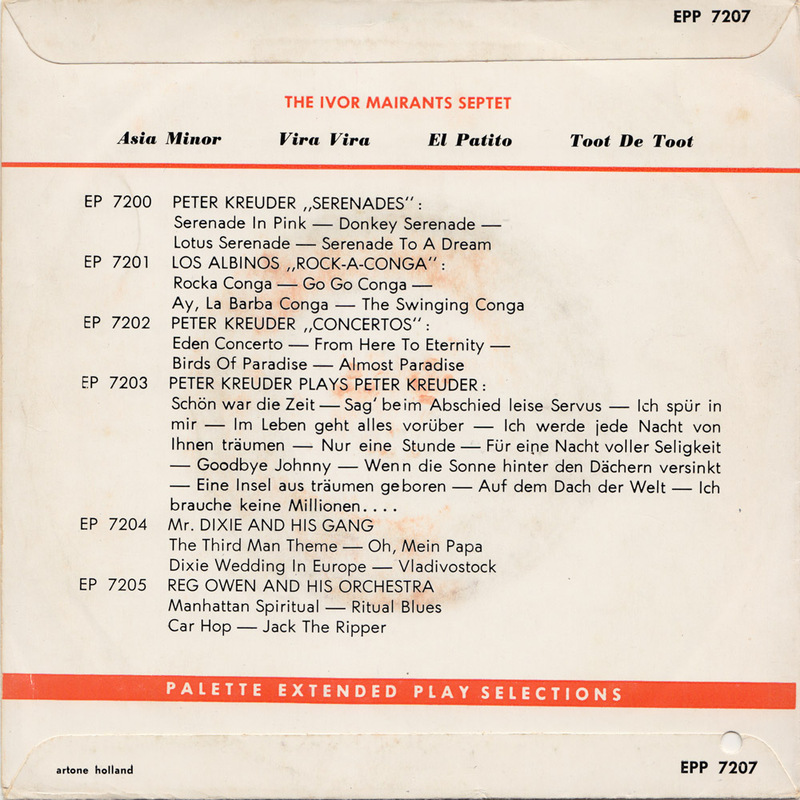 The band appears in the last 3 minutes. In 1942 he played with Jack Simpson and his Sextette. Mairants guitar can be heard in the brilliant Stay Out Of The South featuring vocalist Betty Kent. 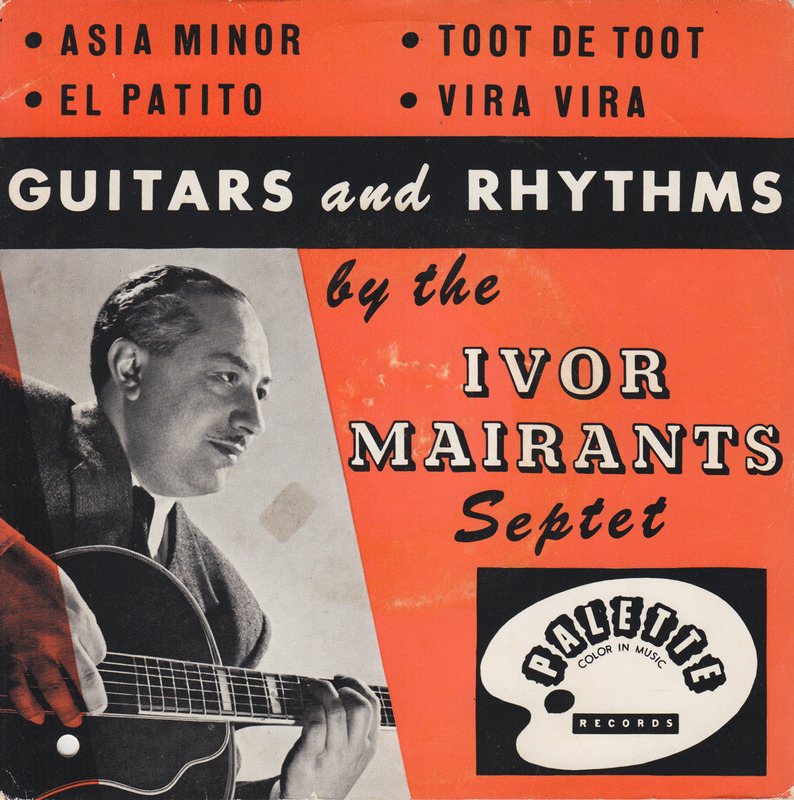 Despite his prolific careeer and legacy, Ivor Mairants solo work has not been reissued in more than 50 years. 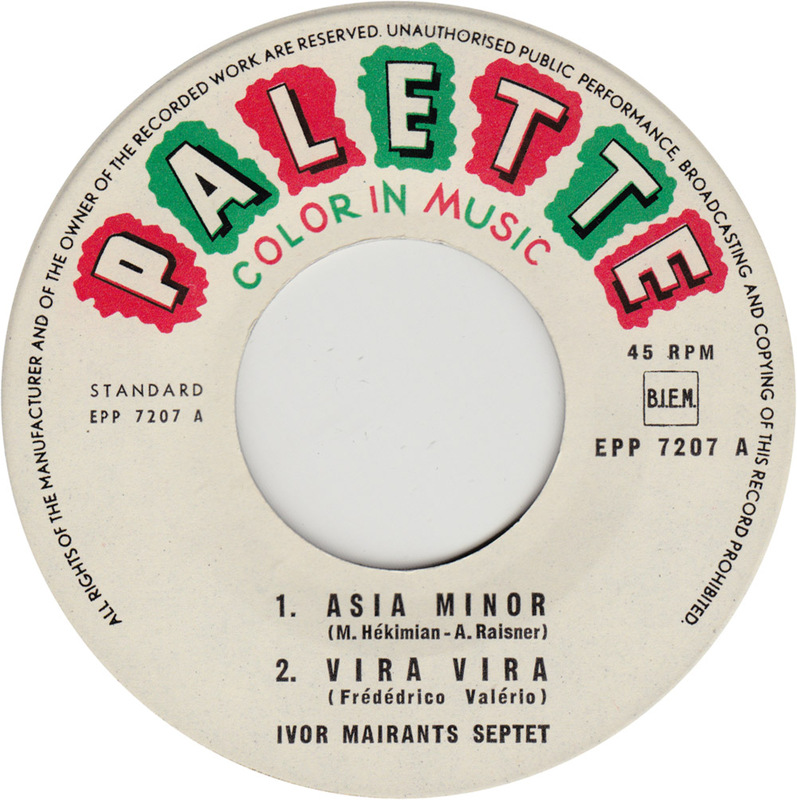 That includes an album by Ivor Mairants and his Septet on the British Richmond label and this EP on the Dutch Palette label. 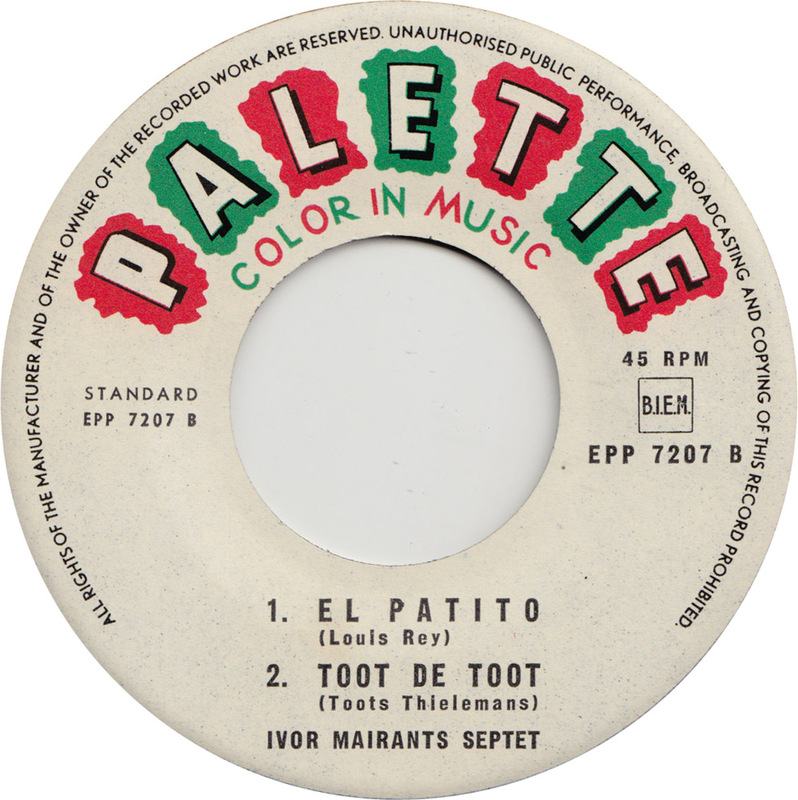 Ivor Mairants versatile guitar work deserves to be heard again, whether it be in the swingin´Toot De Toot, originally written by Belgian jazz musician Toots Tielemanns, or the rockin´Asia Minor, clearly inflenced by Les Paul.